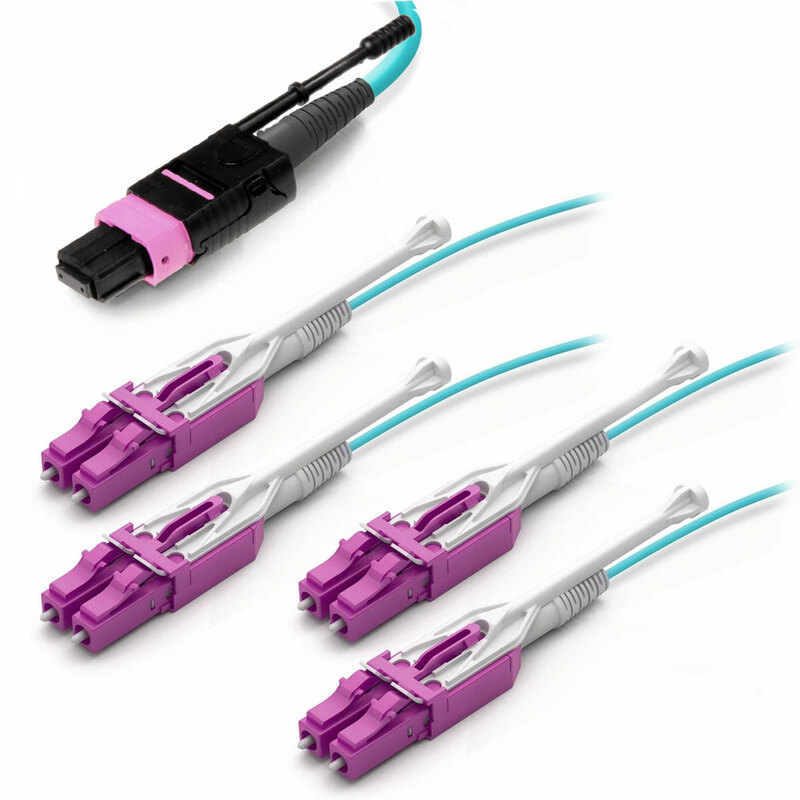 The LightWave OM4 8-Fiber MTP/MPO to LC Fiber Optic Fanout Cable allows you an affordable way to enhance your networking setup for accommodating ever-increasing bandwidth demands without needing an expensive, major overhaul. 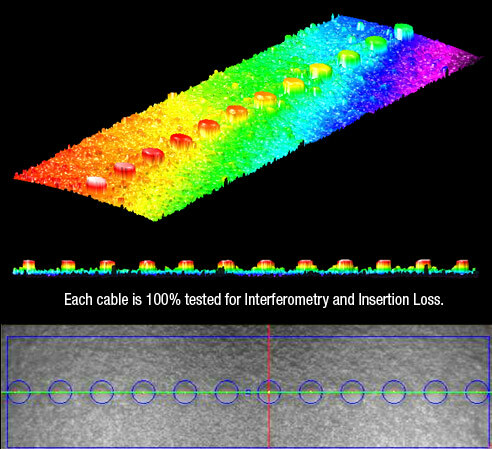 This fiber optic cable comes in a roller "Type-B" polarity. 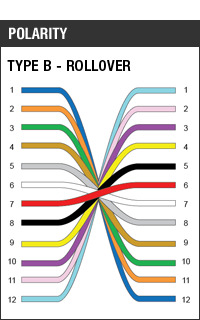 Rollover polarity is used primarily for connecting to switches and transceivers in 40G/100G/128G applications. In a 12-strand rollover polarity, the cable is wired from Pin 1 on one connector end to Pin 12 on the opposite end. Then 2 to 11, and so forth. A single MTP brand connector holding eight fibers on one end of the cable breaks out to 8 LC connectors in duplex configuration on the other end. Two highly-valued connectors for their compact design, come together to offer a space-efficient solution that doesn't sacrifice connectivity quality. Using OM4 fiber optics with this cable, you can transfer data over a 50/125 micron 1Gbps fiber link a distance of up to 1100 meters at a wavelength of 850nm, or a distance of up to 550 meters at a wavelength of 1300nm. On a 10Gbps link, you can transfer data a distance of up to 550 meters at 850nm. 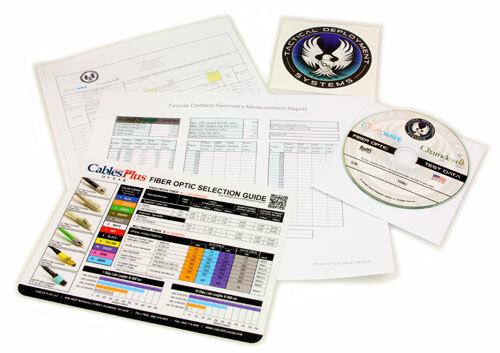 All LightWave brand fiber optic patch cables are assembled to meet industry performance standards. Each product is individually tested to make sure you receive the highest quality, and the results of each test are included with the product. 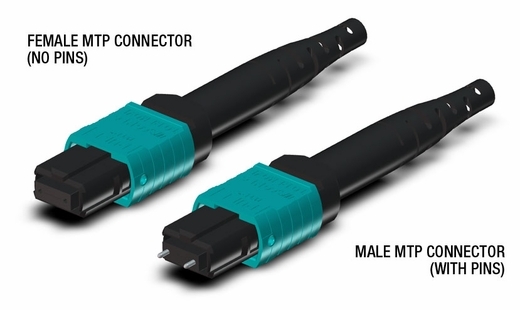 MTP brand connectors take the MPO-style fiber connector and make it flexible to your application needs. The MTP connector uses patented technologies that help you both reduce connector wear, as well as eliminate fiber damage, all while maximizing connectivity accuracy.